Lock in a great price for Comfort Hotel Malmö – rated 8.3 by recent guests! The wifi was super fast which was awesome. The bed was comfy. The location is close to everything. The staff are very nice and customer service oriented. The shower had a super fast flow which was great when showering. Great location close to the city centre, chic and comfortable room and bathroom. Excellent breakfast selection. good breakfast, modern style, quite central location, even though the neighbourhood itself is empty, the station is closeby and from there the centre of Malmo starts. Near the central station, quiet, friendly staff, spacious room(if you choose the right one) and great breakfast. Everything was very nice and perfectly placed, specially those Marshall cabinets... I LOVED THOSE! Great hotel for us train travellers. I've stayed there numerous times, and the experience only gets better. Great breakfast deserves a special mention. This hotel is in the most perfect location in malmo, you can see it from the train station. As a reverse to most European cities, the station area is so classy and safe. Since a lot of people come to malmo from Copenhagen by train , go to Lund and other towns using trains and use Copenhagen airport from malmo; I think it is the most value of time and money to stay there. You can walk from the hotel to city center in 2 minutes. The most important thing that I extremely like is that we had to leave at 6:00 am before the usual breakfast time; which is at 7:00 am. They told us that there will be a small buffet for us but surprisingly we found a very big buffet I think it is the usual buffet minus the hot items. There was people doing the same and we felt it as the usual breakfast that unfortunately we did not have the chance to experience. The hotel is very clean and stylish. Its a great location. Also I arrived early and was allowed to check in immediately. Comfort Hotel Malmö This rating is a reflection of how the property compares to the industry standard when it comes to price, facilities and services available. It's based on a self-evaluation by the property. Use this rating to help choose your stay! 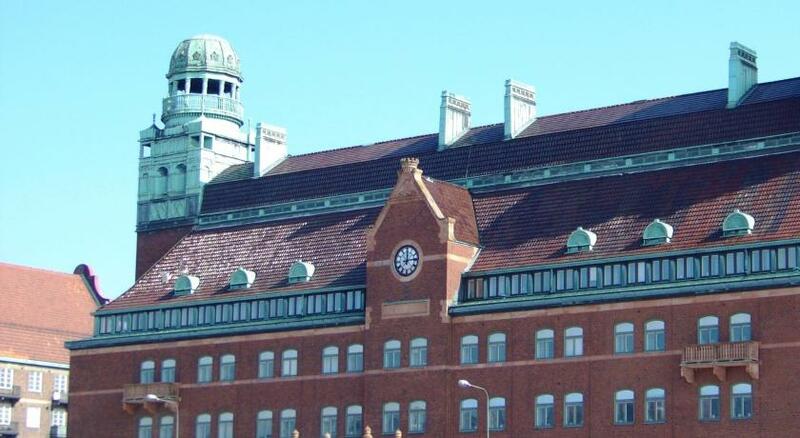 Comfort Hotel Malmö is located in the exciting, redeveloped harbor area in Malmö, 650 feet from the Central Station. It offers rooms with flat-screen satellite TVs and free Wi-Fi. Guests can work at in the on-site gym, which also has a boxing ring. Stortorget Square is an 8-minute walk away. The renaissance-style Malmöhus Castle is located 0.9 mi from the hotel. When would you like to stay at Comfort Hotel Malmö? Features a seating area, work desk and a flat-screen TV with satellite channels. Public parking is available on site (reservation is not needed) and costs SEK 160 per day. Features a work desk and a flat-screen TV with satellite channels. House Rules Comfort Hotel Malmö takes special requests – add in the next step! Please note that Comfort Hotel Malmö does not accept cash payments. Room can be too small if you have big luggage, no closet available in the room. The hotel is 5 minutes on foot from the Central station and also within easy walk to all the major sights. The room itself is a bit small, but okay for 2 people. Very clean, towels, toiletries provided. Breakfast was very good, wide selection, considering all possible allergies. Definitely would stay there again and recommend to everyone planning to spend a couple of days in Malmö. I loved the queen size bed, the really cool stuff, the location, the enteriour design, the restaurant. I would like to have hot coffee for breakfast. bathroom is also too simple. old towels which have been in use for many years. average breakfast. did not exceed my expectations. I have the experience that in Sweden breakfast is usually better. very small choice of everything and coffee was cold. Room was very small. Not mentioned on booking site. Breakfast - no fish or fish products. No expresso! The view outside your window isn't anything special. I got a room faced to a wall so that was not a nice experience. The room were super tiny as well as the bathroom. There was nothing to put your suitcase on. The only table they had was a thin table and it was not for luggage and we could not put any luggage on top of it. The table was for example putting small items on it. There was no closet or drawer to put your stuff in. I put all my stuff either in my suitcase which was on the floor or on top of the thin table or on the floor. Really great breakfast!! Nice, intimate room - perfect for a romantic getaway. Right next to the central station and a 5-minute walk from city center. Very nice stay. For breakfast it would had been nice with a bigger selection of bread and real orange juice ,not from concentrate. Didn't find any pastry. Friendly and helpful staff. Nice location and clean rooms. Additional TV channels of the near countries (Norway, Germany, Poland...) could be added. The breakfest was very good. Price was OK for Scandinavian criteria. Good choice of SW and DK TV channels. The Wifi was performant.